#4 in former U.S. Army Lieutenant Colonel Tom Kratman’s popular and relentlessly hard-hitting Carrera’s Legion military science fiction series. With male soldiers lured away, the planet Terra Nova raises a tough and gritty home-guard of women warriors to repel an invasion. The ruthless freedom fighter and liberator of Terra Nova, Patrick Carrera, believed he could rest with a local victory. But now Earth’s religious totalitarians intend to hold Carrera’s world as a nuclear hostage. It’s time to take the nuclear war to Earth. But those who remain must endure the brunt of Earth’s revenge attack and find a way to stand and defend. They are the old, the sick and the very young–all led by a battle-tested cadre of warrior women determined to save their planet from tyranny yet again. 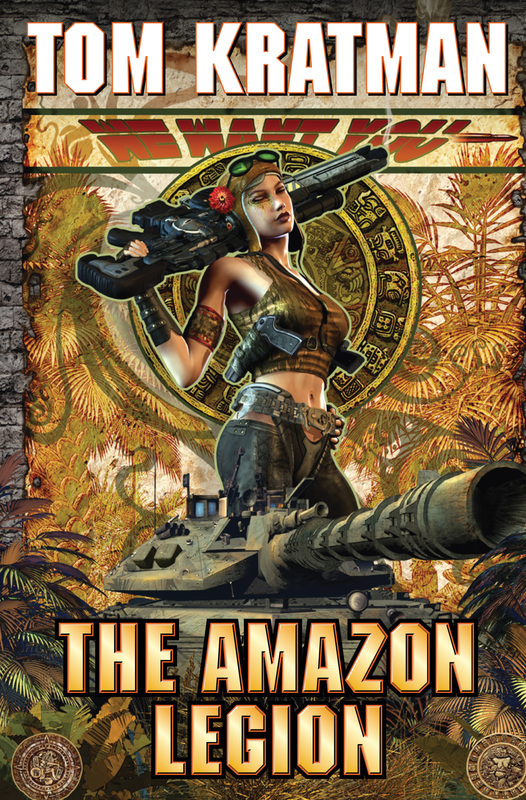 An amazing new chapter in former U.S. Army lieutenant-colonel Tom Kratman’s popular and relentlessly hard hitting Carrera series, a military science fiction masterpiece in the making.